Emojis have come a long way from the smiley face. Enter: Memojis! Basically, Memojis are customizable cartoons available with Apple’s latest iOS update. 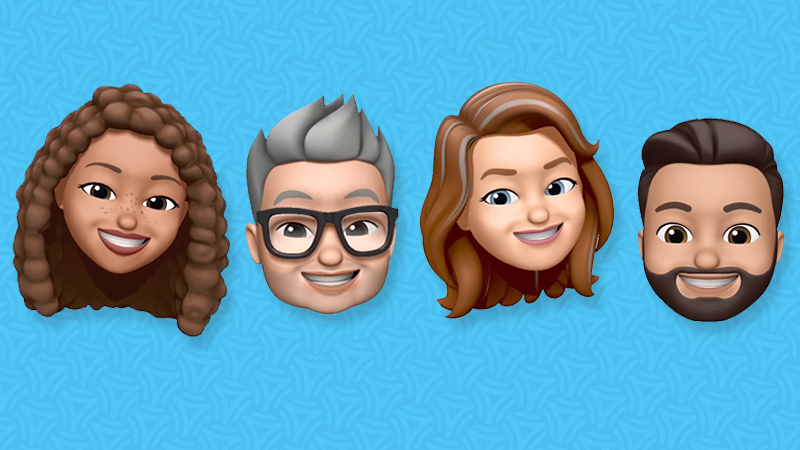 Our team of tech experts has been busy testing the latest iPhone features and across the board, one of the coolest new features is the Memoji, an avatar that looks just like you. That’s right – you’re no longer limited to aliens and unicorns. You’re now an emoji! 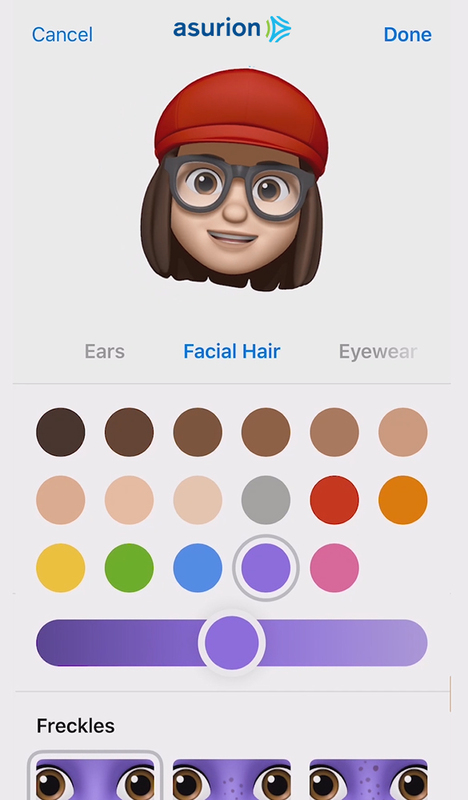 A Memoji is a new type of Animoji that can be customized to look just like you. And yes, it’s as fun and silly as it sounds. Similar to an Animoji, it uses Apple’s facial tracking technology, but instead of being a unicorn or a robot, you can make it look just like you. Everything about a Memoji is fully customizable. You can personalize everything down to the smallest detail, from your hair color to freckles. You can also have fun with it. You can try a different look or even make it look like your favorite celebrity. Want to look a little younger? There’s an option to specify age as well. Beyond physical traits, there’s a huge selection of earrings, headpieces, hats and eyewear. The coolest part is that you make all the changes in real-time, so if you don’t absolutely love how your Memoji is turning out, you can make changes on the spot. Flexibility is the name of the game. Did we mention Memojis also move? Welcome to the future. How is a Memoji made? iPhone X and newer models have front-facing cameras that sense depth, which means it captures your facial movements and does what we can only describe as magic. That’s right – it animates the emoji to look exactly like you based on your choices of features that best represent you. Want to be someone else instead? You can create your Memoji to look like anything you want. Can you create a Memoji on iPhone 7/8/X? Unfortunately, this cool new feature is only available if you have iPhone models with the TrueDepth camera system. This means the models that can make a Memoji are iPhone X, XS, XS Max, and XR. You’ll still be able to get Memojis through video, but you won’t be able to create your own. Scroll to the bottom of each section to add options like freckles, eyelashes, earrings, and beards. You can personalize even more with eyewear or a hat. To adjust color, choose an option and drag the slider from left to right. You can tap the color wheel for even more varieties. When you’re finished, tap Done. Your Memoji will be added to your collection of Animojis. With a feature as new and cool as this, we had to test it out and make our own. Our talented team of tech experts put together this helpful video to show you how to create your own Memoji. We were especially impressed with how realistically it picked up on facial expressions. And yes, we had a ton of fun testing out the different personalization options. Now the fun begins! You’ve built your own Memoji and you can start using it in messages. Your Memojis are saved to your Animoji list, which means you choose, record, and send them exactly the same way you would an Animoji. You can even share these with Android-users; it’ll just send as a video file instead of a Memoji. Another fun fact is that you can create several Memoji and have them all saved at once, so you’re not just limited to one style for yourself. 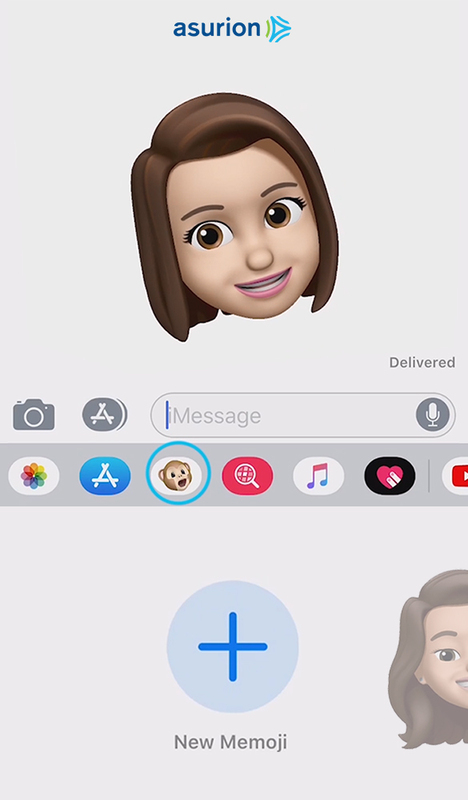 Record 30-second video clips of your Memoji talking or singing and send it in a conversation (similar to Animoji). Replace your head with a Memoji head for a photo or video with the new Messages camera feature. Send your Memoji as stickers if you want to send a photo reaction but not a full video. Want more tips to help you get the most out of iOS 12? Asurion’s tech experts can help you learn, grow and do more with your technology!